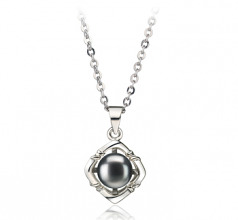 The black Pearl is the apple of this sun’s eye. 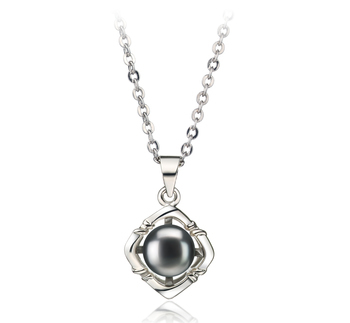 With the true grace and elegance of the white bronze pendant, the sun cast rays of hope from its 17 innecklace. 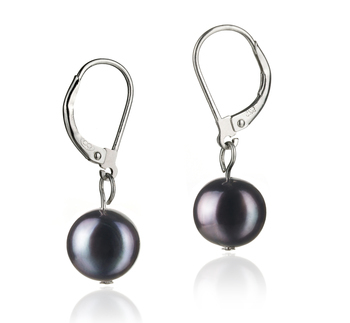 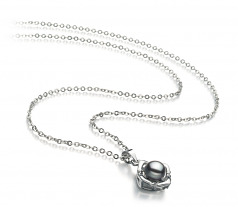 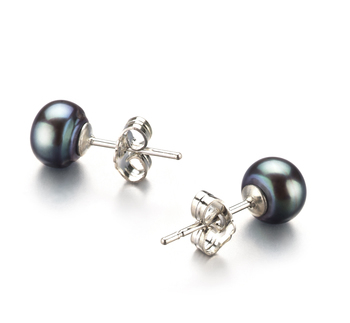 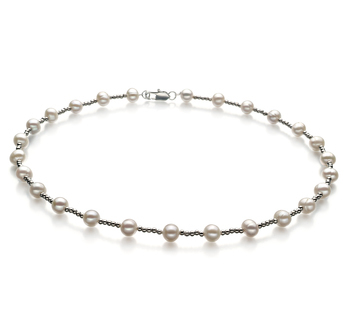 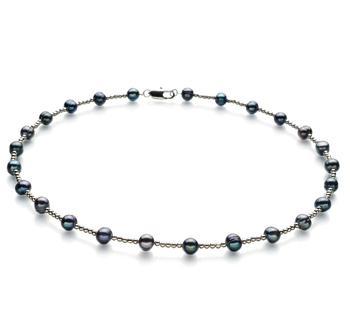 In the process, it has captured the black Freshwater Pearl. 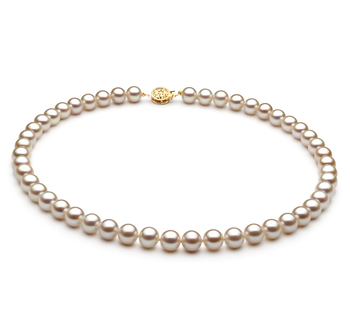 At 6-7mm in size, this medium pearl showcases a mid-grade shape that indicates an out of round shape but doesn’t always show what others claim.<BR><BR>She sits proudly and fondly at the center of the sun and takes in the rays and creates a mirror like AAA luster over its surface. 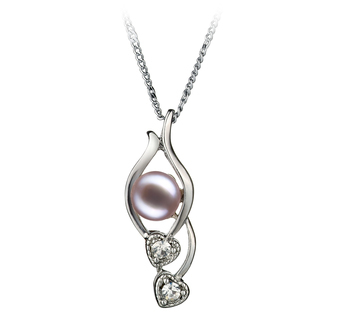 The pearl’s luster covers its surface and reflects back out onto the white bronze pendant in a radiant display of sparkles.